Notes: Prescribed is 16”/12” boxes, climb to 15 feet, 20/14 med ball to 10 foot line. 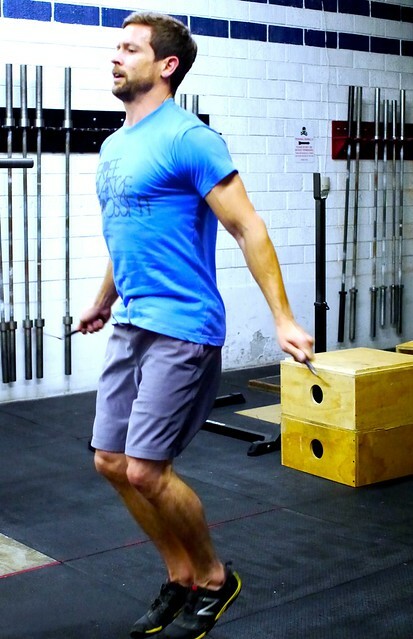 For the one legged box jumps, standards are the same as 2 feet, jump, stand with a straight leg and show control. Perform all on one leg before switching. Scale the rope climbs by performing partial range of motion or 3 rope lowers each round. The WB Push press is just like a wall ball except you don’t have to squat. Scale to allow for continual movement!